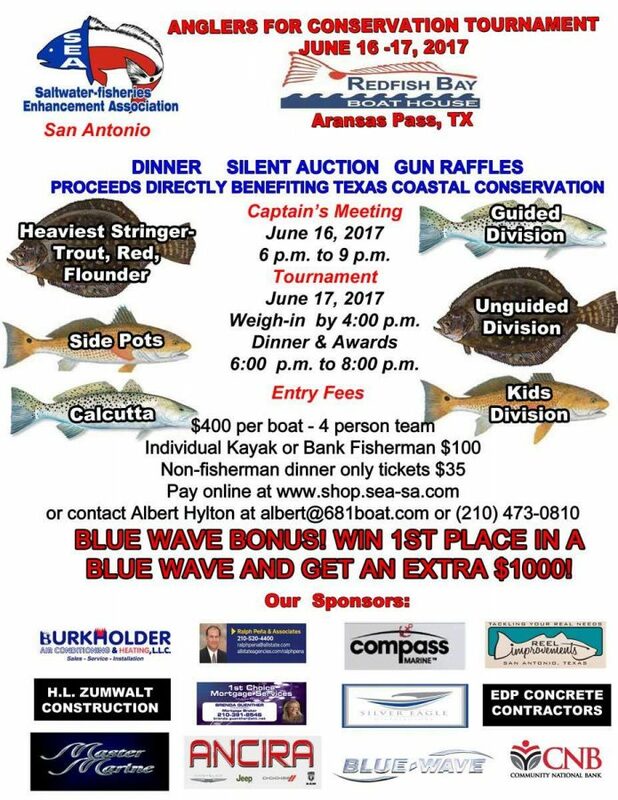 Join us for the San Antonio Chapter Saltwater Fisheries Enhancement Association’s Anglers for Conservation Tournament! BLUE WAVE BONUS: Win 1st place in a Blue Wave boat and get an extra $1000! Event will feature dinner, a silent auction, and gun raffles with all proceeds going directly to Texas coastal conservation.